ChelseaSEO helps local contractors and small companies to be more famous online. Whether you own a gift shop in Barnes, a computer repair business in Hampton or offer professional services to residents of Richmond Upon Thames. Because Google puts more attention on local providers, it’s your time to act as your neighbourhood wants to find you. There are more than 190.000 potential customers live in the Borough of Richmond upon Thames. They are looking for local shops, services and contractors, but when your website isn’t come up in Google’s map area or among the top results, you lose these people. Does your company show up if you search your products or services on Google? It should, and we can make it happen! What is Local SEO For Richmond Upon Thames? SEO includes on-site techniques and off-site practices to improve the website’s search engine rankings. SEO helps to boost the organic visitor number to get more sales or qualified leads. 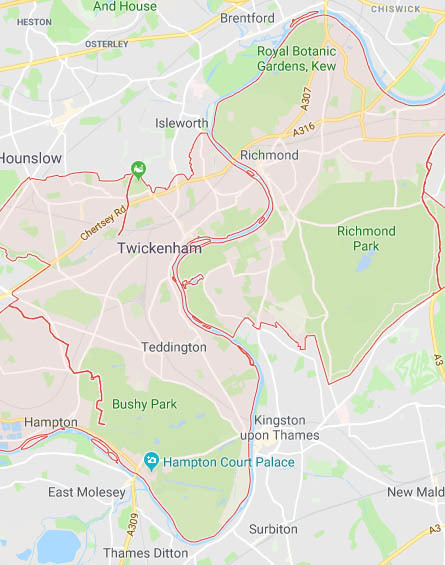 Local SEO is exactly the same, but it focuses on a smaller area, like Richmond Upon Thames or it’s districts such as Mortlake, Fulwell, Barnes, Teddington, Kew, Hampton, North Sheen, etc. It’s good to know that 84% of consumers conduct local searches. For instance, if you are a local handyman, ideally when someone searches Google for “handyman near me” finds your website. Our London SEO experts will work hard on your website to get better online presence, more organic traffic, qualified leads and increased sales. There is no simple and easy way when it comes to local SEO, every business are unique with different need and solution. Whether you are a property management business, a removal company, or an optical shop located in Richmond Upon Thames, we can improve your online presence and helps you dominate your niche. We will not stop with Google, we make your website listed at the top of other search engines like Bing and Yahoo. Search Engine Optimisation is not painless as if you don’t have experience, paid tools like Ahrefs, SeoProfiler, Moz or SemRush, you can’t effectively work on it. That’s where ChelseaSEO comes in! A well designed, smart approach is important for any business who wants to be successful online. Our number 1 priority is to get a listing in the top results of the “local map pack”. Having one of these, gets more organic traffic and trust for your business. 1. We need to know more about your business, so we study your main audience, services or products, etc. 2. We do a full website audit (on-page/off-page factors) or if you haven’t got a website, we build a new WordPress site. 3. Applying modifications, optimisations and checks like fix website errors, improve user experience, mobile friendly test, locally optimised title tags, header tags, unique meta descriptions, URL rewrite, duplicate content check, sitemap creation, image size reduction, image ALT tags, Google Search Console and Analytics registration, etc. 4. Create Schema Markup as it gives search engines useful info to display on the result pages like type of business, ratings, opening hours, product prices, and more. 5. Waiting is terrible, if your website is slow, potential customers might leave and won’t come back. Google has already announced that speed is part of their ranking system, so we work to reduce the loading time. 6. Discovering your competitors: what and how they do their strategy. Analysing their content, backlink profile, citations, social profiles, etc. to make a better approach. 7. Keyword research is another critical component of the process. We are looking for keywords with enough search volume, low competition rate and target highly to your region. First, we concentrate to Richmond Upon Thames, as in the competitive market of London, it will take at least nine months or more to show up on the first pages of Google. 8. Updating and adding specific content in your niche with focusing to Richmond Upon Thames. Using our keyword research data, we make relevant, unique and insightful articles about your business. 9. Citation building, registering / optimising Google My Business, Bing Places, Yahoo Small Business, Yelp, Yellow Pages, etc. 10. Outreach campaign with press releases, blogs, magazines, niche sites, local directories, etc. 11. Social media for influence and immediately positive results. We keep your accounts active across the platforms you already use, or we can create profiles on Facebook, Twitter, Instagram, etc..
Our professionals are ready to improve your rankings in Google for more visibility, sales or qualified leads. It doesn’t matter if you are a sandwich shop, a mobile repairer, or a fashion photographer we can help you achieve your goals! Discover our SEO packages, and let’s get started!